For processing in calciners at cement works or in thermal power plants. 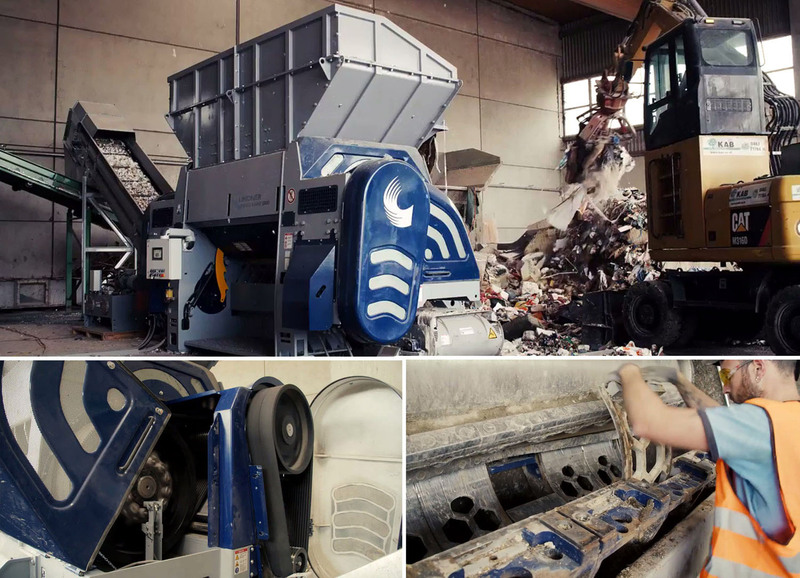 Spittal/Drau, Austria, November 2016 – The Polaris 2200 and 2800 are two new single-shaft shredders from Lindner that have been optimized for the cost-efficient, single-step shredding of untreated household refuse as well as industrial and commercial waste. A typical application area is the processing of refuse-derived fuel (RDF) that is used instead of fossil fuels in calciners of cement factories or in thermal power plants. Because the Polaris shredders run at a particularly low speed and with correspondingly high torque, their knives cut the input material with enormous power, as required by the single-step process. Type 2200, with a feed opening of 4090 x 3000 mm and a rotor length of 2115 mm, shreds, for example, up to 22 t of commercial and industrial waste per hour. The Polaris 2800, with a feed opening of 4779 x 2370 mm and a rotor length of 2805 mm, achieves a volume of up to 32 t/h. Depending on the choice of screens, the final grain sizes are between 50 mm and 120 mm. With its cutting principle and automated pusher system control, Lindner’s single-shaft shredder technology ensures constant output with uniform grain size. Every individual component of the system is noted for the robustness that is typical of Lindner products. This begins with the solid chassis and the powerful, highly reliable asynchronous motors with nominal outputs of 200 kW (Type 2200) and 2x 132 kW (Type 2800). The two-step belt drive that has proven so successful with Lindner shredders, transmits the very high torque to the rotor. If non-shreddable extraneous material turns up, the integrated sliding clutch brings the machine reliably to a standstill. The large hydraulic maintenance flap and doors offer convenient access, for example to replace the six or eight easy-to-handle screen modules or to rotate the knives that can be used on four sides. With the development of the Polaris single-shaft shredder, Lindner is supporting the trend towards the optimum processing of RDF to ensure that it is coordinated to the scheduled application. This enables the system to function cost-effectively and with maximum efficiency. Companies that process refuse-derived fuels for captive use thus have the possibility to make their production more cost-efficient. 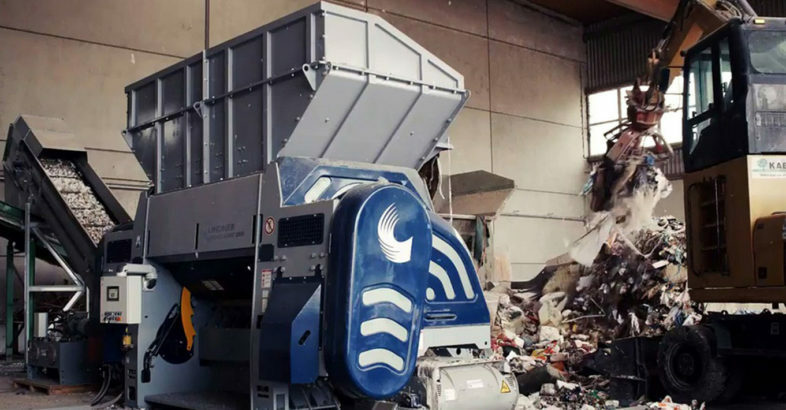 The rugged, low-maintenance Polaris shredder also makes it possible for customers who process waste to market it as RDF to achieve higher margins. Depending on the input material, the relatively coarse shredded material produced by the new Polaris shredders has an average calorific value of 15 to 18 MJ per kg, and is thus ideal for the calciner. In comparison, the use of RDF as a secondary fuel in the main combustion chamber of cement factories, where temperatures of up to 2,000 °C can be reached, makes different demands on the properties of the RDF. Here, two-step systems from Lindner are still the first choice. Consisting of a Jupiter pre-shredder, a separating unit and a Komet post-shredder, they produce an optimum shredded material with a defined grain size of less than 35 mm. Lindner, Spittal an der Drau, Austria , has for decades been offering innovative and successful shredding solutions. From the original planning, development and design to the production and after-sales service, everything is supplied from a single source. At its Austrian production sites in Spittal/Drau and Feistritz/Drau, Lindner manufactures machines and plant components that are exported to nearly one hundred countries around the world. Beyond stationary and mobile crushing and shredding machines for waste recycling, its portfolio includes complete systems for plastics recycling and the processing of substitute fuels and substrates for biomass equipment. Lindner America, Raleigh, NC, USA, is Lindner’s North American subsidiary with a team of sales and service experts located throughout the United States, providing support to clients in the USA and Canada.